We are a content + digital + experiential company with an in house production team. We are a creative firm with expertise in event production, design, and technology to stimulate brands and deliver results. We are a collaborative agency partner, transforming ideas into unforgettable experiences. Events are never boring! There is always a buzz in the air because people are in attendance for a common reason. The key question is what to do with that buzz…How do you ELEVATE that buzz so it sticks with attendees far beyond the in person experience. Some Clients Include: E! Entertainment, CBS Radio, Glenmark Pharmaseuticals, U.S. Department of Justice, U.S. Department of Health, World Series of Fighting, Navy FST Small Business Conference, Multiplying Good - Jefferson Award Foundation, Hillel International, ZBT Fraternity, Theta Chai Fraternity, SDT Sorority, National Campus Leadership Council. we Help to craft the visual experience of your event: from content creation to delivery. When bringing ideas to life, it is your vision and your priorities that are the foundation of our creative process. We devise visual, audio, set, staging, and scripted elements and present them in a format that engages the audience and encourages feedback and participation. Using a wide range of artistic and technical knowledge, we work with you to achieve a look, sound, and feel that is both memorable and effectively delivers your message to your audience. With one single strategy, our creative and technical teams work together to produce your assets. Our content team will deliver on-brand, engaging and informative content while our technical team makes sure that the content is delivered based on your brand goals, your audience, and budget. 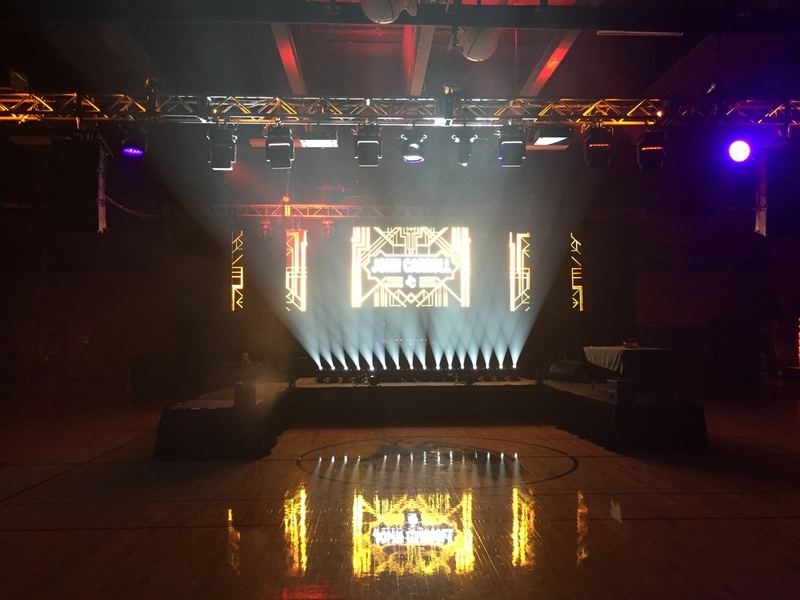 We stick with our clients year after year wherever the event may take place, to guide them through the ever changing world of producing a live event. We manage live events and programs with audiences of any size. Our clients include corporations, associations, and non-profit organizations. Events range from corporate meetings and product launches, to festive concerts and galas. Your event needs will change up until the last minute, we know that! And we know how to effectively pivot with these changes. We have found working with clients through the planning process allows us to understand our clients ideas and gives us ideas to craft the visual experience you can only begin to dream of! We do not provide you with a boring list of services on our website for you to waste your time reading. We want you to pick up the phone and call. If you can dream it, we can hop on board with that dream and make it happen! No idea is too far fetched for our team! We are flexible and adaptable to change. We understand what it takes to grab attention and are always up for a challenge. We are a collaborative team and we want to work together to transform your ideas into a customized experience.